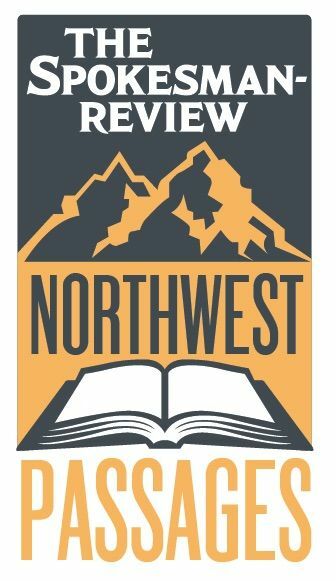 The Spokesman-Review's Northwest Passages Book Club hosts an evening of words and wine with outgoing Washington state poet laureate Tod Marshall in conversation with columnist Shawn Vestal. Marshall, a Gonzaga professor, just completed two years travelling the state as Washington’s poet laureate. He joins the book club to celebrate National Poetry Month. The evening's theme is "My Town" and features guest performers including Spokane poet laureate Mark Anderson, “Power 2 the Poetry” leader Bethany Montgomery and Spark Central executive director Brooke Matson. When: Wednesday, April 11, from 7 p.m. to 9 p.m. Doors open at 5:30 p.m.
Where: The Spokesman-Review Building, 999 W. Riverside Ave. in Spokane. What: Join the conversation! Come early to mingle and enjoy a glass of wine at the adjacent Terra Blanca wine bar. General admission tickets: General admission tickets are free, but seating is on a first-come, first-served basis. Once you reserve a ticket, your name will be at the check-in table. VIP ticket package: VIP tickets cost $30. That includes a copy of "WA 129," a poetry collection edited by Marshall featuring award-winning Washington writers and poets. You'll also enjoy a reserved seat at the book talk and a glass of wine at the Terra Blanca wine bar. Book signing: Auntie’s Bookstore will sell books before and during the event, including the “WA 129” poetry collection. Book Club readers get a 15 percent discount on the featured title. Bonus: After the poetry event, join a newsroom tour led by Spokesman-Review Editor Rob Curley. Courtesy: Our popular Northwest Passages Book Club events fill up fast. If your plans change and you're unable to attend, please message bookclub@spokesman.com to cancel your ticket reservation. Learn more: Keep up with the Northwest Passages Book Club online.